Twelve students were elected to the Undergraduate Council Friday after a two-day voting period for the Council’s midterm election. A total of 402 undergraduates cast ballots this election, according to UC Election Commission chair Matthew C. Estes ’18. Earlier this week, 27 undergraduates declared their candidacy—a decline from the 35 who ran in the 2016 midterm election. In last year’s election, 447 students voted for ten open seats. 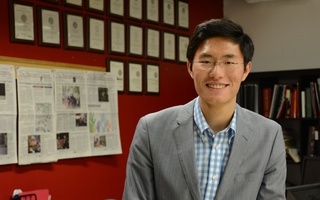 No students voted in Quincy House, a race where Garrett Wen ’18 ran unopposed. 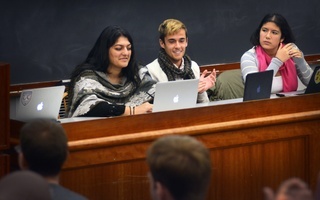 In the other uncontested race, 12 students voted in Lowell House to re-elect representatives Berkeley Brown ’18 and Samarth Gupta ’18; Tom Brady, a quarterback for the New England Patriots, received three first-preference votes. Consistent with many UC elections, the election saw low voter turnout across the eight upperclassman Houses and the freshman Elm Yard. In the UC’s last two presidential elections, for example, less than half of the College’s student body cast ballots. 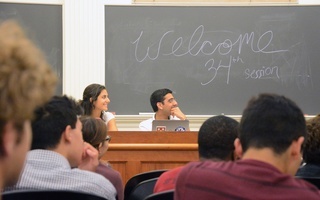 UC President Yasmin Z. Sachee ’18 said she hoped to rectify the low turnout by demonstrating the Council’s potential to enact change. “The best way to increase voter turnout is to really show the student body the UC’s work,” she said. 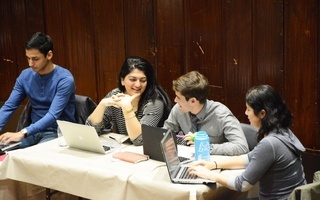 Salma Abdelrahman ’20 of Elm Yard won the election’s most competitive race, in which 147 students cast ballots for eight candidates. The second most competitive race was in Adams House, with four candidates vying for two open seats. A total of 73 students cast ballots in the race, ultimately electing Ryan K. Sim ’19 and Anna T. Wechsler ’18. Of the twelve new members, one is a freshman, four are sophomores, and seven are juniors. —Staff writer Andrew J. Zucker can be reached at andrew.zucker@thecrimson.com. Follow him on Twitter @AndrewJZucker. Twenty seven students have so far declared candidacy for 12 open seats on the Undergraduate Council in its midterm election.